We are happy to hear that you and your pet have decided to make your new home at an Alliance community! Before you move in, we ask that you review our breed restrictions and schedule an appointment so our office team can meet your pet. 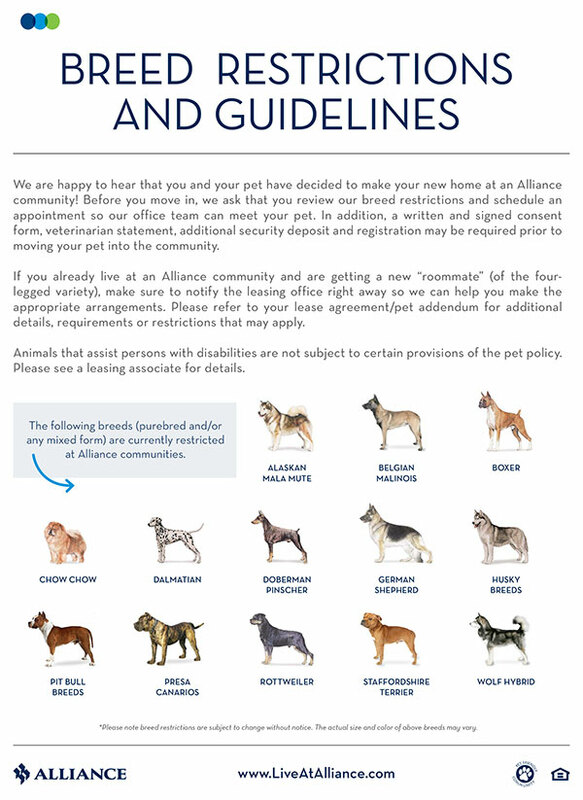 In addition, a written and signed consent form, veterinarian statement, additional security deposit and registration may be required prior to moving your pet into the community.